A lightweight, portable space-saving high chair for your baby will keep your little one safe whilst they eat. 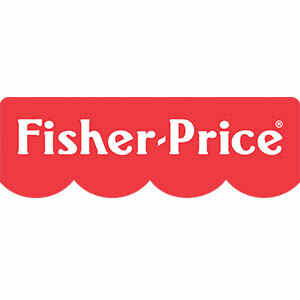 The Fisher Price Space Saver High Chair is designed to fit onto most dining room chairs whilst being a full-size high chair with a tray table. Great when you're short on space. With the Fisher-Price SpaceSaver High Chair you get the easy-to-clean, customisable seating you love from a full-size high chair but in a super convenient, compact design that fits easily on most dining and restaurant chairs! You can adjust the height and recline as your baby grows, and even convert it into a toddler booster when your child is old enough, offering fantastic value for money for years of use. The cushioned seat and tray keep little ones comfy during meal times, and the Fastfinder link makes it easy to hang bibs, toys and other items you may need. Use the Fisher Price Space Saver High Chair to feed your baby at the same height wherever you are, at home or out and about.